Most of the focus of artificial intelligence (AI) and automation has so far been on the B2C sphere, with the exception of the fear-mongering surrounding the idea that robots are going to steal our jobs. In reality of course, AI and automation offer huge potential to businesses and besides, we’ve weathered similar revolutions before. Looking ahead to next year, most of the industry professionals we’ve spoken to think 2018 will be a pivotal year in the business adoption of AI and automation; the year where the hype will give way to actual implementations. 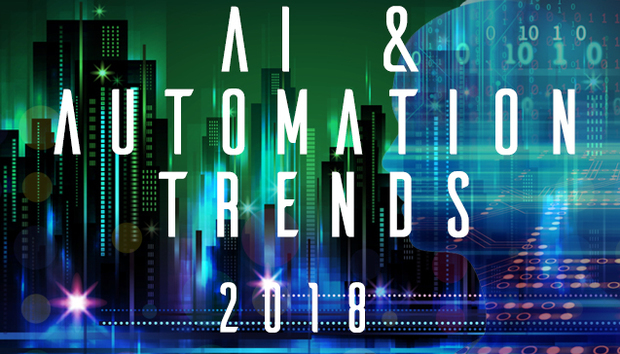 The following is a selection of key trends from leading experts in the artificial intelligence and automation industry, and offers insight into what we can expect in 2018, and which industries are most likely to be disrupted. Artificial Intelligence hype will pass its peak. AI isn’t new but it’s grabbed the C-suite’s imagination and their budgets this year like never before. All too often though the projects have been box-ticking exercises in an AI arms race. 2018 will see the fog of hype clear and the C-suite demand a more demonstrable return on investment. « How is the PC not dead yet?